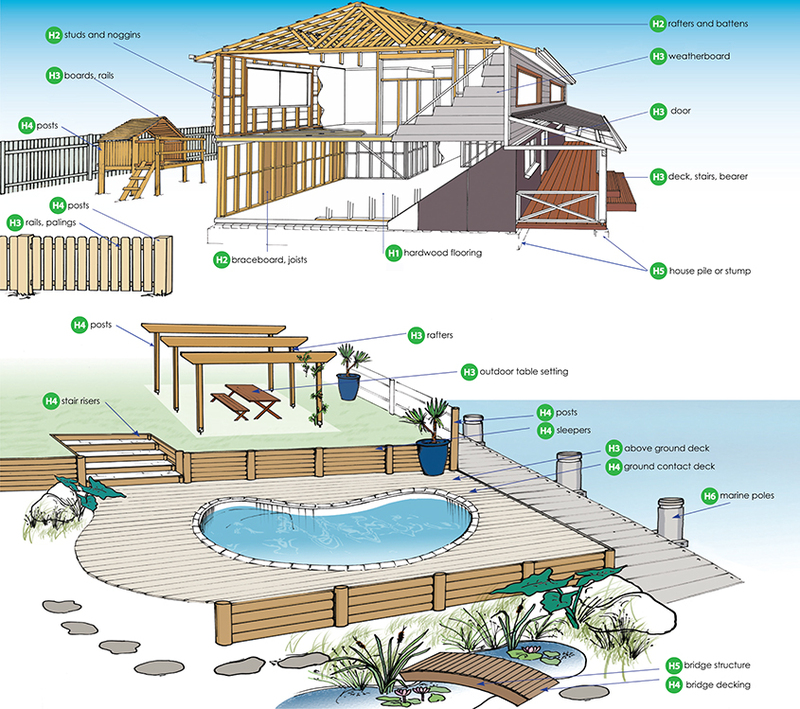 The illustrated associated hazard level guides available for download show a wide range of end use applications in which preservative treated timbers are used in general building and landscaping situations. Refer to Timber Hazard Class Guide for the most appropriate preservative to use in each Hazard Class. If the timber component you intend to treat is not highlighted in the illustration above, contact us directly for further advice.